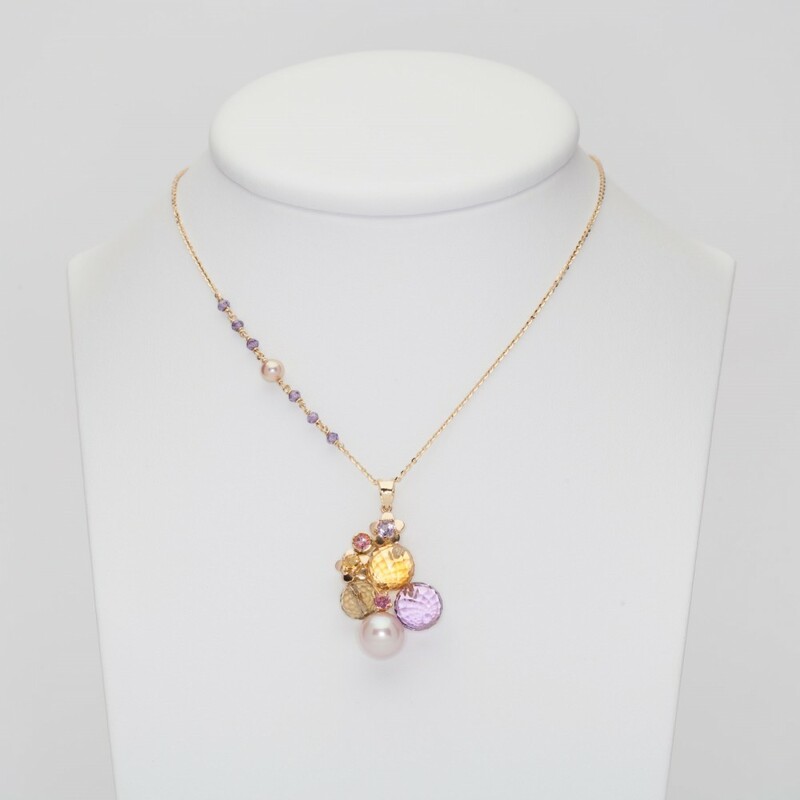 Necklace in gold with precious and semiprecious stones. 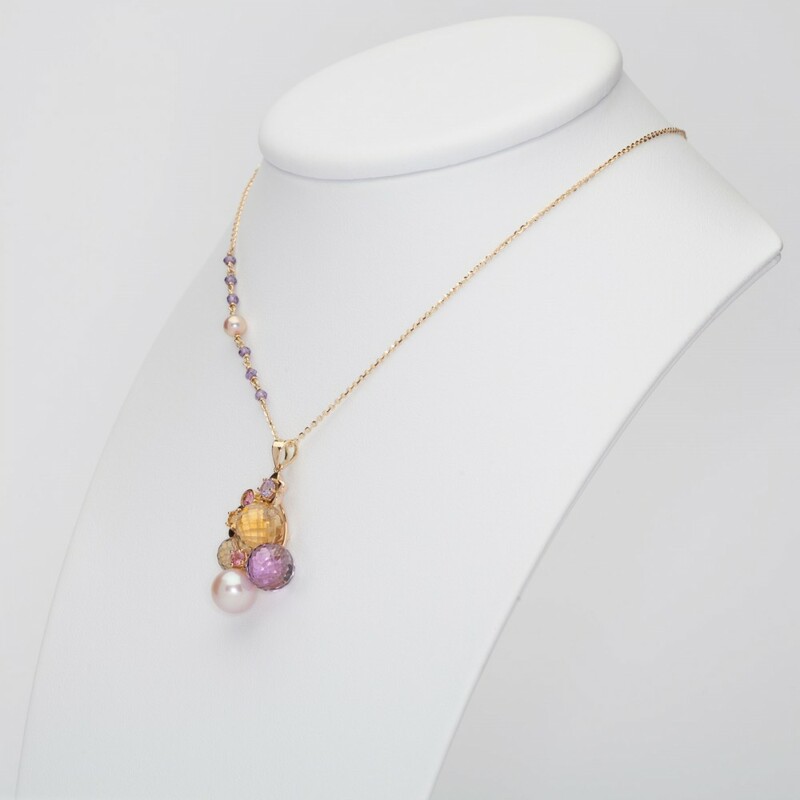 Handmade charm in 18 kt rose gold with amethyst, quartes and tourmalines set in golden flower, design is delicate and romantic, the chain has an asymmetric motif with six violet zircons and rose pearl. 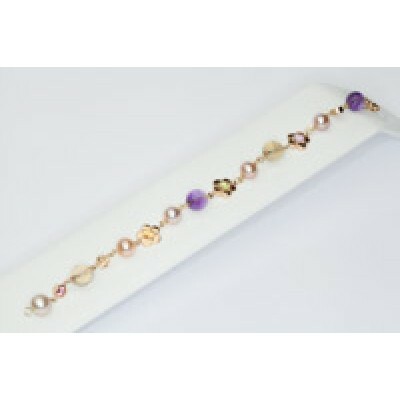 You can select the length by the drop-down list choosing between 46 cm, 44 cm, 42. Pendant is 40 mm x 23 mm. 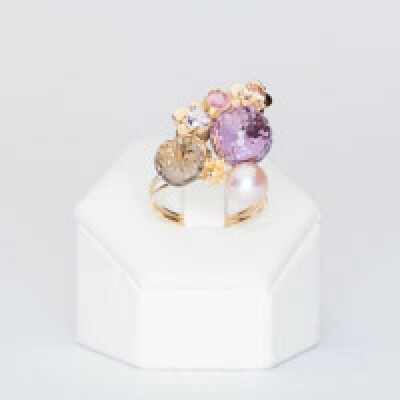 For this item, shipping is free, and packaging and guarantee are included.